Diploma Programme (DP) | "Learning for Life"
The IB Diploma Programme (DP) is an academically challenging and balanced programme of education. It addresses the intellectual, social, emotional and physical well-being of students, and is respected by universities across the globe. 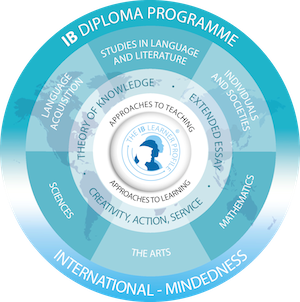 Each of the IB’s programmes, including the DP, is committed to the development of students according to the attributes shown in the IB learner profile. (IBO, 2016). 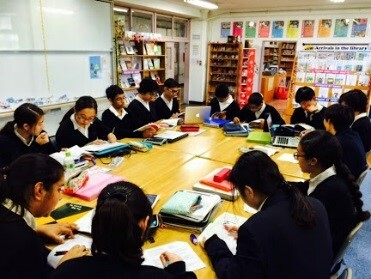 Through the DP, students are able to share an academic experience that emphasizes critical thinking, intercultural understanding and exposure to a variety of viewpoints. Group 6 - The Arts. DP subjects are offered at Higher Level (HL) (240 teaching hours over 2 years) or Standard Level (SL) (150 teaching hours over 2 years). Students must take a minimum of three and no more than four subjects at Higher Level; the remaining subjects may be taken at Standard Level. 3. Creativity, Action, Service (CAS). KIST's students current DP Exam Results can be viewed here. 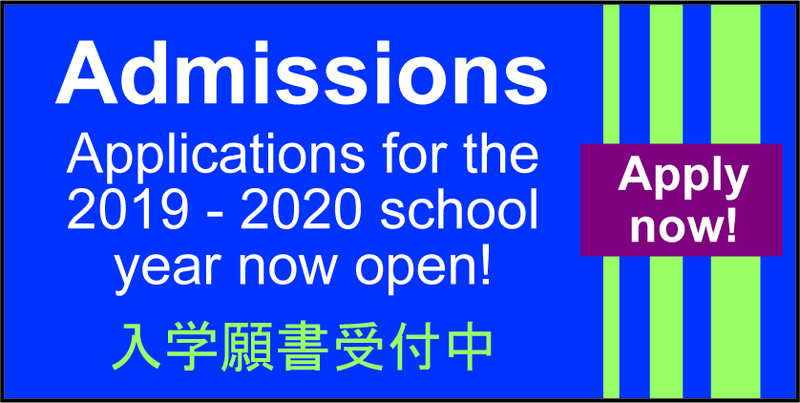 Access to the 2018 - 2020 DP Handbook requires community members to login to the school website (under the Community tab). 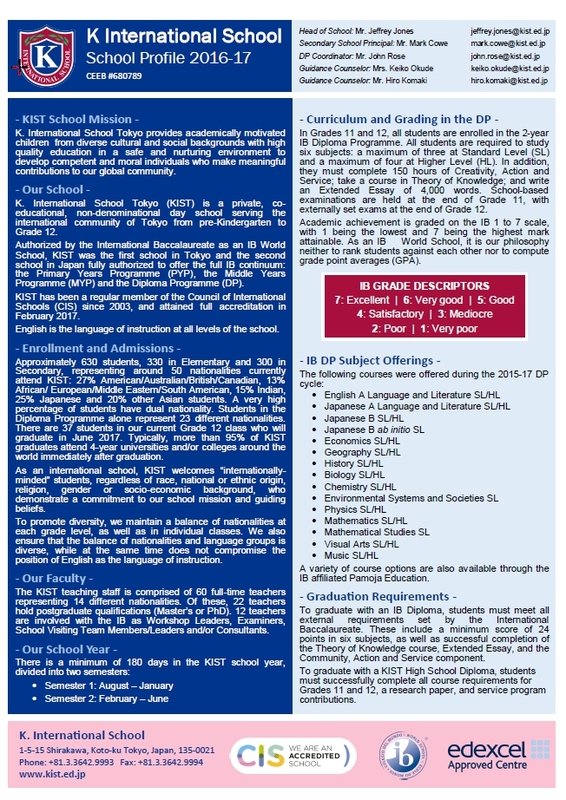 For more information about the DP at KIST, please contact the DP Coordinator or visit the IB Diploma website. 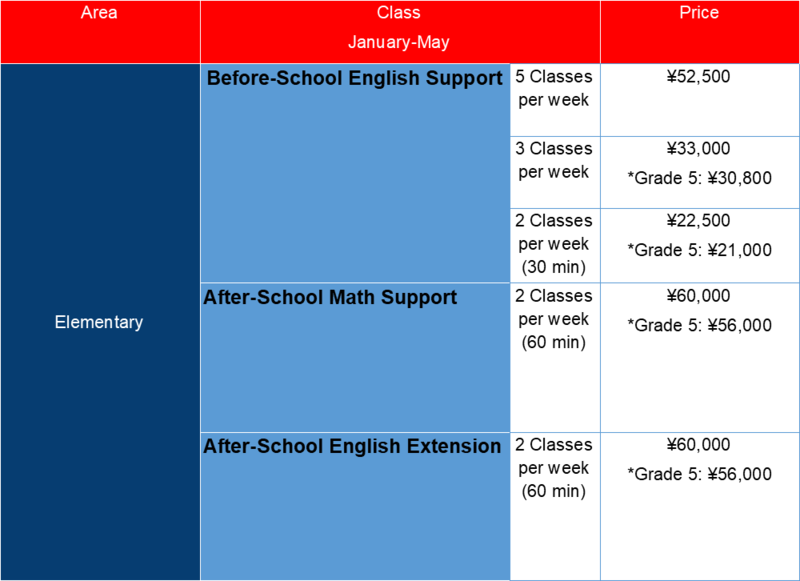 Click here to view KIST student academic performance data. Click below to see KIST's School Profile.